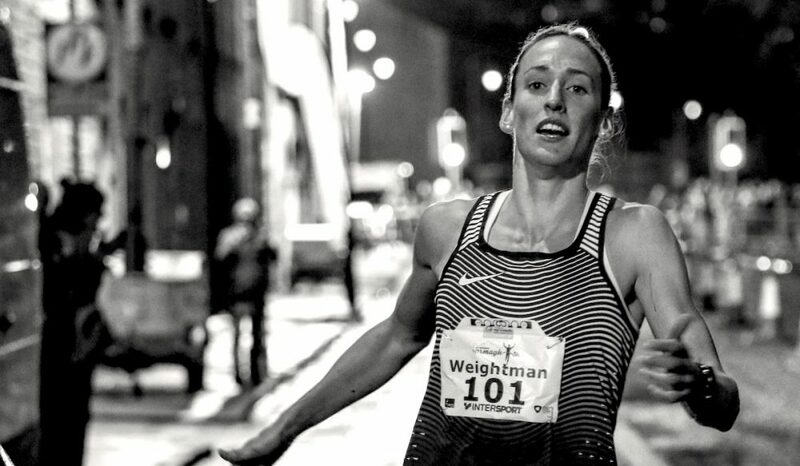 Returning women’s champion and course record holder Laura Weightman explains why racing in the small Northern Irish ‘city’ of Armagh stands out from other races. Armagh, a city because of it’s two cathedrals, with a population the size of a small town, welcomes some of the best runners from Britain, Ireland, USA and beyond, year after year, for the club organised international men’s 5k and women’s 3k races. Spectators are within touching distance of the elite runners as they stampede around the oval lapped road course chasing nothing put a personal best. True racing – no pacing – no tactics – just fast and furious running. The men’s race last year set a 5k world record for the highest amount of runners ever to finish under 15 minutes – 77 to be precise. And with women’s 3k just as impressive with 28 sub 10-minute runners, the quality and depth is unquestionable. Without a doubt, no road race in the UK or Ireland attracts the depth of quality that the local athletics club, Armagh AC, impressively bring together annually. 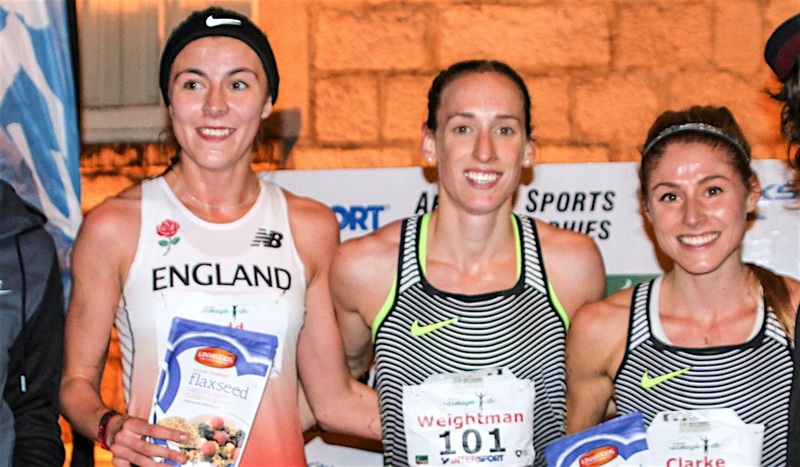 On Thursday (February 15) the Armagh International Road Races take place for the 28th year and amongst the host of familiar names returning is women’s 3k champion, Laura Weightman. The British Olympian set a course record 8:59 last year, pipping fellow participants at last year’s World Championships Rosie Clarke and Jess Judd to the win. So what entices athletes of the calibre of Weightman to make the trip across the Irish sea year after year? With a top prize of £150 and no appearance fees, it’s not a payday – that’s for sure. Intrigued, Fast Running asked the two-time Olympic finalist why the race is so attractive. “It is a race that I had always wanted to do, it looked so much fun and always attracted good strong fields of elite athletes,” the European 1500m bronze medalist tells Fast Running. “I wanted to go last year and see what it was all about for myself. “Also I don’t race indoors, so running at Armagh is a good way to test myself after a good hard block of winter training. After starting 2017 with a course record in Armagh, the 26-year-old went on to have one of her best seasons ever – finishing sixth in the 1500m at the World Championships in August, before setting a new British road mile record in New York the following month, as well as numerous PBs from 800m on the track to 10k on the road. After all of those accomplishments in a single season, of course, you would want to begin 2018 with another trip to Armagh. “I loved it last year, it was fun and fast,” she says. “I knew I wanted to go back in 2018 as soon as the race was over. “The course is brilliant. It is like a stretched out track! It’s a fast lap around the tree-lined mall that have little fairy lights in and it is lined with people supporting the whole way around so it creates a fantastic atmosphere. “Armagh manages to put together a very strong field bringing together the middle and long distance athletes racing together, which delivers exciting races for the athletes and the spectators. And the important question, how is the course record holder feeling ahead of this year’s race? “I am really excited to be racing again this year. I have had a great five week training camp in South Africa so I am looking forward to testing the legs out back down at sea level,” she explains. “I am hoping for a good hard fast race to really push myself. The two international world-class races are not the whole story of the Armagh Road Races and the programme also includes an open men’s 3k race plus ten juvenile races that are all run with clockwork precision thanks to a team of dedicated volunteers. This week there will be further features as the build-up continues to the world-renowned racing in Armagh on Thursday night.